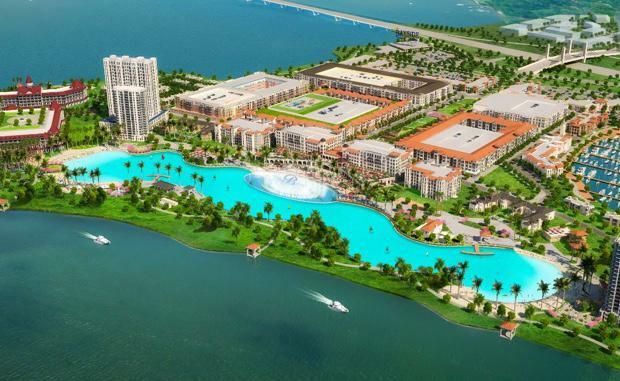 Crystal Lagoons, the multi-national technology company which this year established a Sydney base, has broken ground on its first lagoon in Texas. Partnering with Bayside Land Partners, the lagoon will be the star attraction in the luxury Bayside mixed-use development, located on Lake Ray Hubbard, 12km east of downtown Dallas. Globally patented in 160 countries, Crystal Lagoons technology earned patent protection from the U.S. Patent and Trademark Office’s Fast-Track Program for Green Technologies which honours technologies representing an advance in sustainability. By changing the real estate paradigm of “location, location, location,” Crystal Lagoons is revolutionising real estate development and enabling developers to create a beach life experience anywhere in the world. The unlimited-sized, man-made lagoons are low in cost and generate substantial increases in pricing, sales velocity, and rents.